Heat 2 tablespoons oil in a large skillet over medium-high heat. Add brussels sprouts and cook, tossing occasionally, until golden brown, about 8 minutes. Cover and cook until crisp-tender, about 3 minutes longer. Transfer to a plate; wipe out skillet. Season steak with salt. Heat 1 tablespoon oil in same skillet over high heat until just beginning to smoke. Add steak in a single layer; cook until browned, about 3 minutes. Turn and cook until nearly cooked through, about 30 seconds. Add to brussels sprouts. 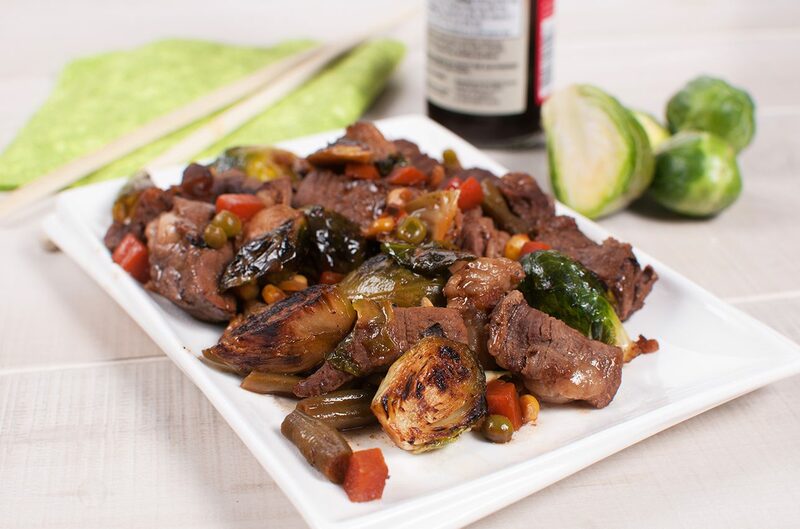 Return brussels sprouts and steak to skillet and add reserved sauce. Cook, tossing occasionally, until sauce is thickened, about 3 minutes. 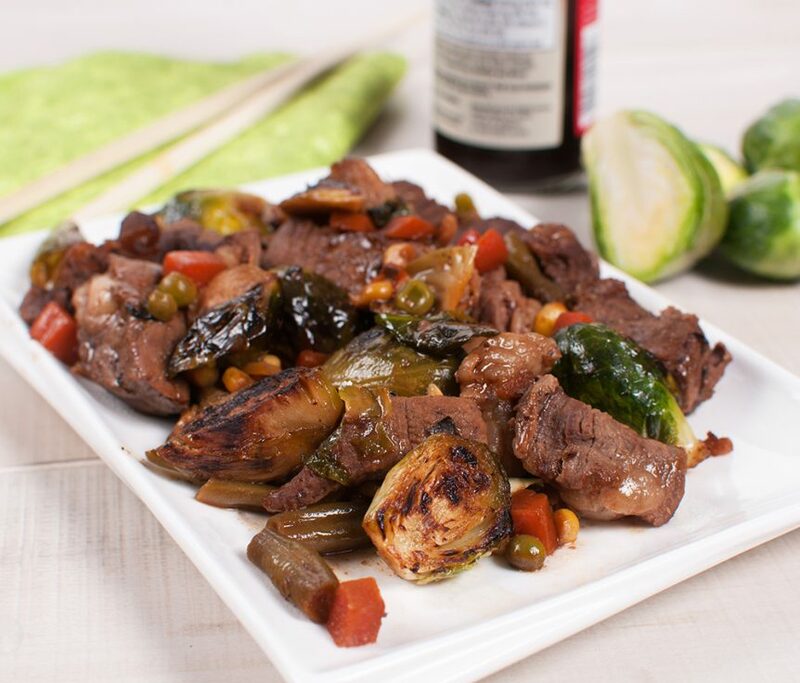 Serve with steamed rice and garnish with scallion greens.